And this man has really been off track lately—his life is a mess. There are problems at home with his eldest son seemingly wasting away his first year of college, and the worries that his son will lose the scholarship he received. There’s been the bickering with his wife over a number of issues. Some silly, but others not so silly; there’s all the upheaval at work along with all the office drama each day, and then there are the temptations, the things he’s struggled with most of his life, but can’t seem to conquer. These temptations are stronger than ever now that he’s facing all this stress. So he pulls into the parking lot and turns off the engine. But then he begins to think to himself: “Why am I bothering with this? It really doesn’t work anyway—this confessing of sins. Within a week or two I’m back doing the same old stuff. This so-called “grace” that’s supposed to come from the sacrament isn’t working for me. The man starts up the engine and drives off. 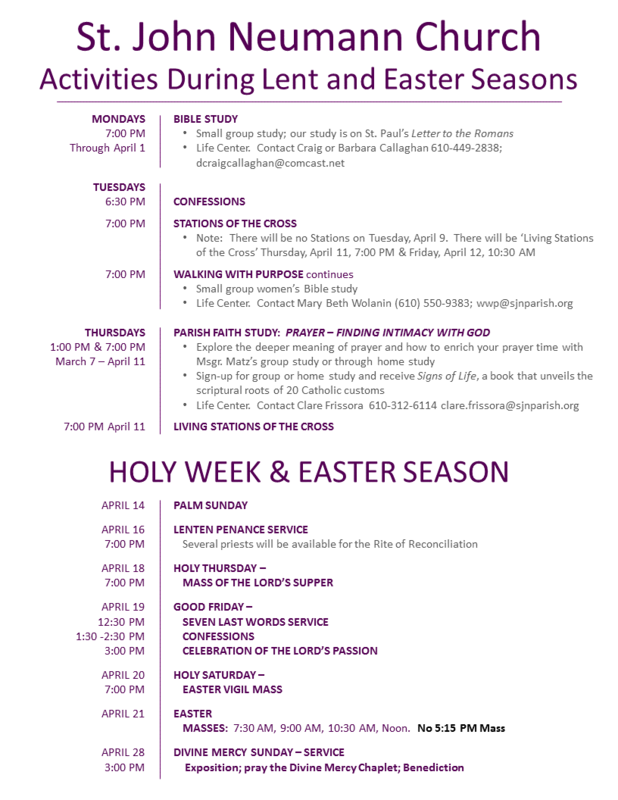 We begin the season of Lent, a time of repentance. So, like the old Irish priest said, “Don’t quit, turn back to God. He knows what he is doing.” Remember, God’s grace gives us the power to be victorious, but does not prevent the battle!